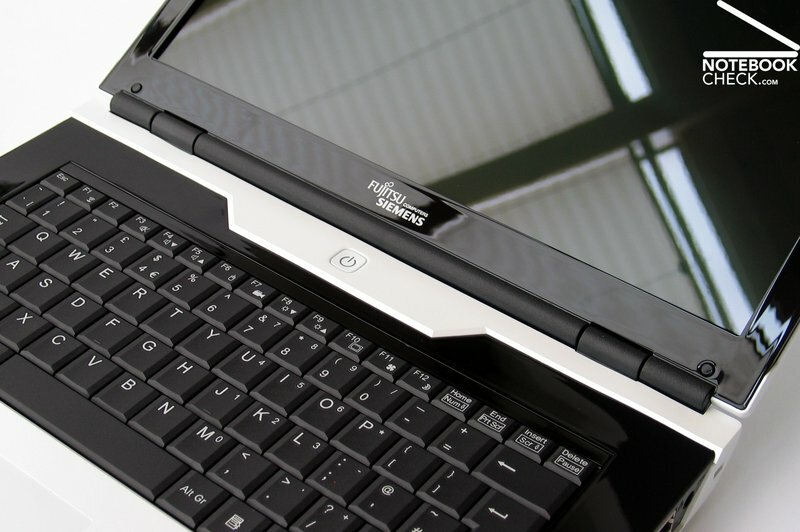 In many aspects the Fujitsu-Siemens Amilo Si3655 is an innovative notebook. This compact 13 inch subnotebook comes in a brand new Amilo design and is equipped with the latest development by Intel: the Centrino 2. 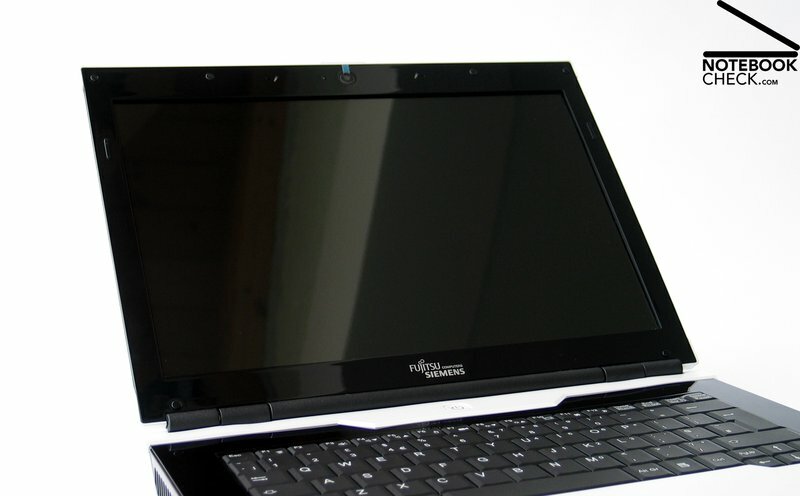 In detail it is equipped with a Core 2 Duo T9400 CPU with 2.53 GHz combined with the new GM45 chip-set, and an integrated Intel GMA X4500HD video chip. The following article covers the potentials of the new Amilo series and of Intel's latest technology. 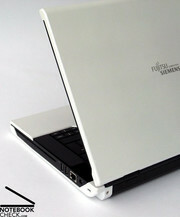 The design of the new Amilo notebook by Fujitsu Siemens computers (FSC) is not common any more, but, extraordinary. 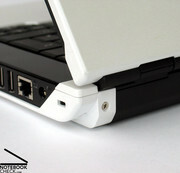 It was designed by Ideo, a design consultancy, who completely redesigned this consumer notebook series by FSC. As a result, the look of the Amilo is unique and recognizable. But not only the look changed. The same is true for equipment and handling. First of all, all models have a silent mode option, which reduces the performance and at the same time the noise emissions. The light touch control element is also new. It is a touch-sensitive area for launching different tools. Furthermore, this notebook is equipped with a spill-proof keyboard, a feature, which is usually only available in business notebooks. But, the absolute highlight is without doubt Intel's newest development, the Centrino 2 platform. Called Montevina it already hit the headlines a couple of times. 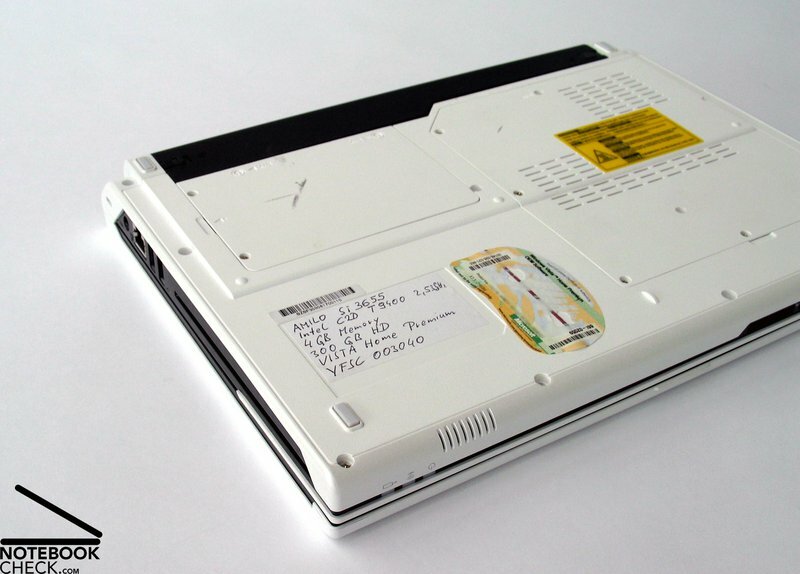 Furthermore, this notebook is equipped with the Intel Express GM45 chip set, a T9400 CPU with 2.53 GHz, and the also recently developed integrated video chip GMA X4500HD by Intel. 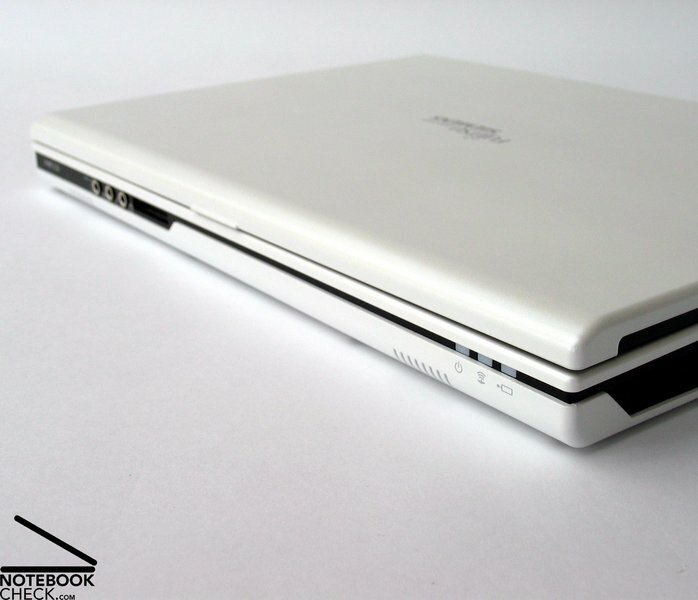 First of all we have to mention that the reviewed notebook was a prototype of the FSC Amilo Si3655. So, it possibly differs from the notebook finally available in the one or other aspect. Ideo, a design consultancy, completely redesigned the FSC Amilo Si3655. Notable examples of Ideo's world wide success are Apple's first mouse and the Palm V PDA. Examples of the automotive industry demonstrate that is worth to spend money on the design. In the meanwhile also the computer industry obviously realized that customers attach more and more importance to the look of a product. This is especially true for notebooks. In the end the look is an important criterion for the final buying decision. Also reflecting displays seem to follow these trend. They have a brilliant picture if presented in ideal lightening conditions. However, it is a pity that their heavy reflections disturb the work if the light of the environment is not that ideal. But, now back to the main topic of this article, the Amilo Si3655. The colour of the case is black and white without any other colour, expect of two exception. The system LEDs and the Light Touch control console break the hard contrast between black and white: Blue LEDs inform about the status and the operating modes, red LEDs are used to visualize the touch sensitive areas above the keyboard. Each colour excellently harmonizes with the simple and geometric design of the case. However, together they nearly look like a mystery, a contradiction to the otherwise clear and straight forward design of the Amilo Si3655. Alternatively, white LEDs could have been used for the indicator LEDs at the front edge and also for the power switch. This way the red control elements would have provided the only colour accent and in our opinion the overall design concept would have been clearer that way. Be it as it may. The styling is brilliant. The most important design elements are strictly straight lines, whereas the directions only change in 45° angles. The result is futuristic, a little bit Star Trek like. Some surfaces are glossy. These are quickly spread with a lot of fingerprints, especially close to the keyboard. 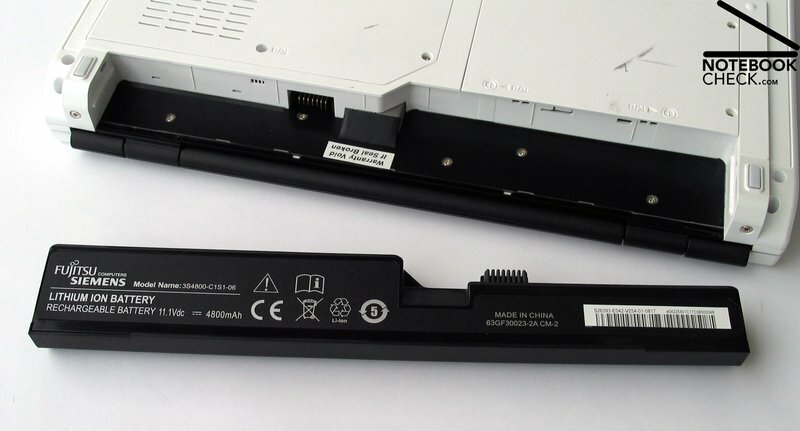 Although the outer parts of the base unit are completely made of plastics, the stability of the case is in general sufficient if force is applied. That is expect of at the slot-in drive, which clearly gives under pressure. This gets most apparent if you pick this notebook up at this part. You can even hear a quiet creaking if you do so. The flexural rigidity and the pressure resistance of the display are low. The hinges are not able to completely prevent a see-saw after adjusting the opening angle. The closing mechanism should be definitely improved before this notebook is finally launched. This notebook does not have a transport hook. 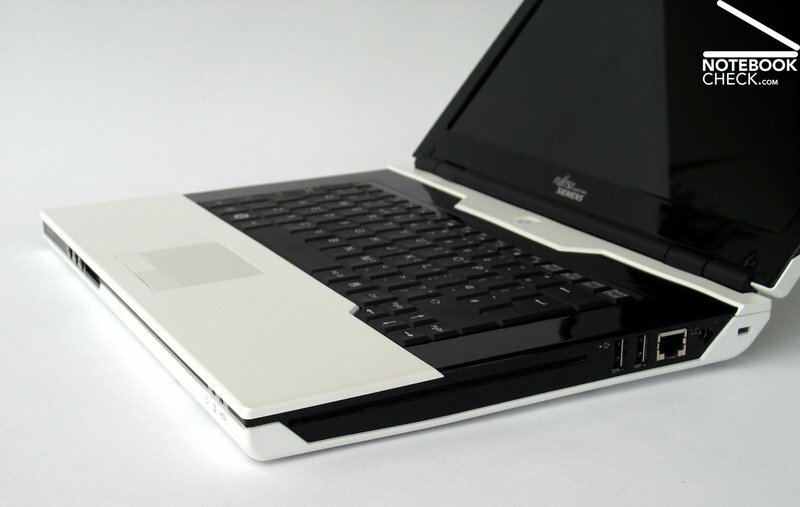 So, it is crucial that the closing mechanism is strong enough to prevent an unintended opening in oder to protect the notebook against object penetration. It seems that this notebook is only sparsely equipped with interfaces. Nevertheless, the ones provided are notable considering it is a 13 inch notebook. 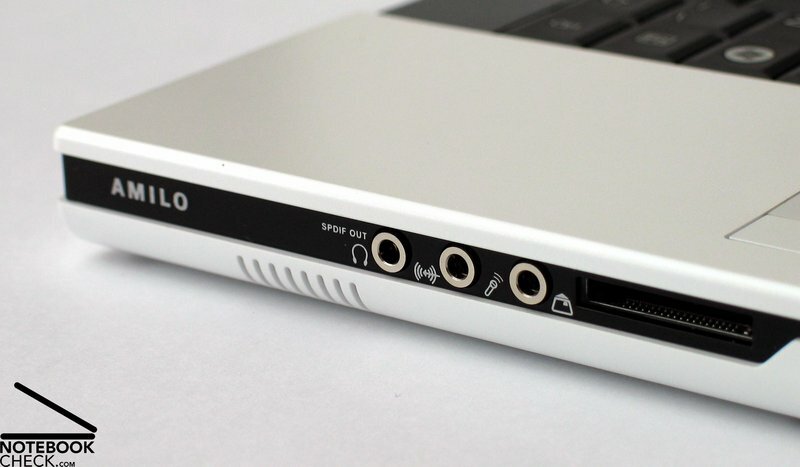 Among others there are an optical S/PDIF port, 3.5 mm stereo ports for headphones and microphone, and a card reader at the front edge. 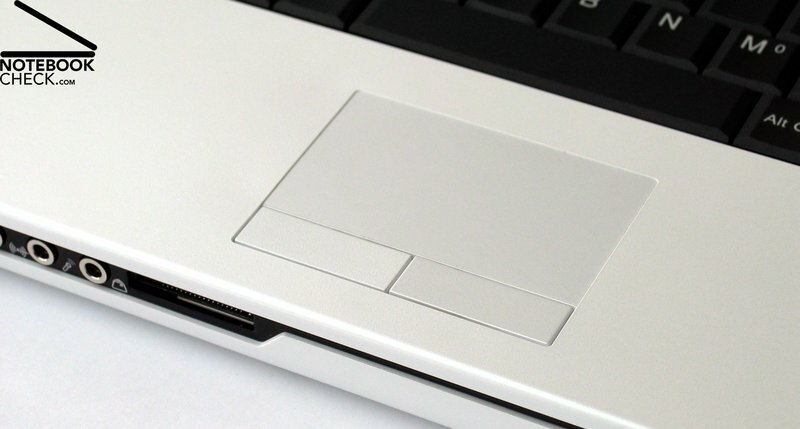 An ExpressCard slot, a FireWire port, and a eSATA interface, which can also be used as USB port, and a DVI-I dual link port with HDCP support are at the left side. The later supports the connection of high-resolution screens and also of standard VGA screens via appropriate adapter. Nearly the whole back side is occupied by the battery. 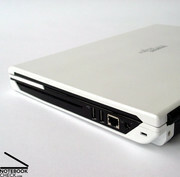 The slot-in DVD drive is at the right side close to the front. Continuing rearwards there are two USB ports, a LAN, and a power connector, and finally a Kensington lock close to the right back corner. 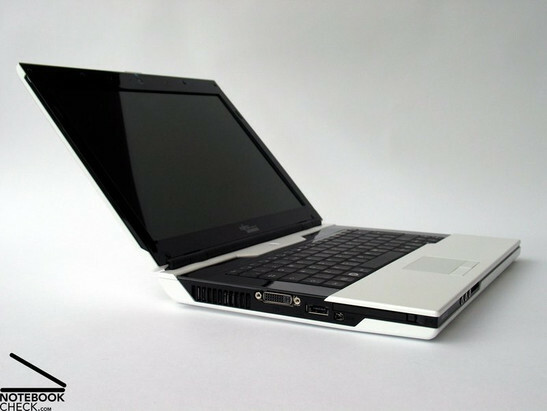 Considering that it is 13 inch notebook that is designed for being operated on the move, the interface equipment and location are all right. 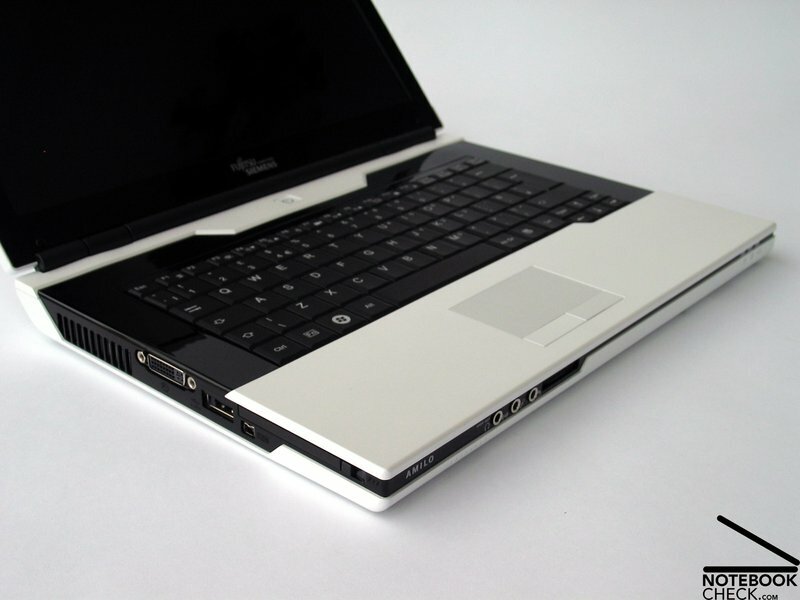 The eSATA port enables you to connect an external hard disk which supports eSATA whenever needed. So, you can profit from a fast high-capacity hard disk whereas also the transfer rates are excellent. Furthermore, DVI-I and S/PDIF allow a digital transmission of video and audio data. This way the FSC Amilo Si3655 is fit for a completely digital future. Data communication is already supported by the new technology of the Centrino 2 platform. 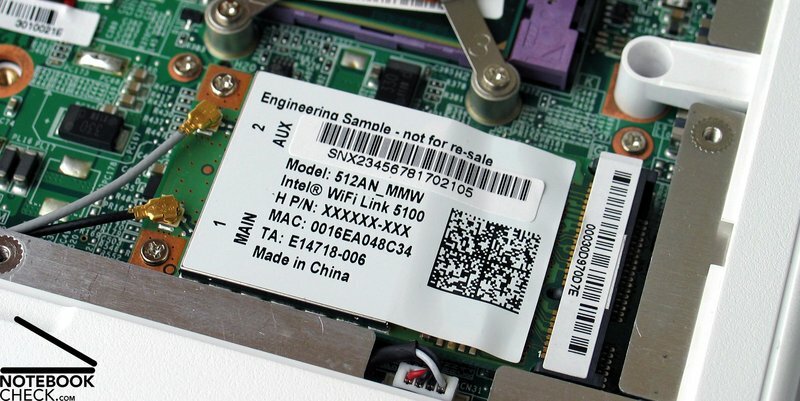 This includes the Intel 82567LF Gigabit network connection and the Intel Wireless WiFi Link 5100 WLAN module. 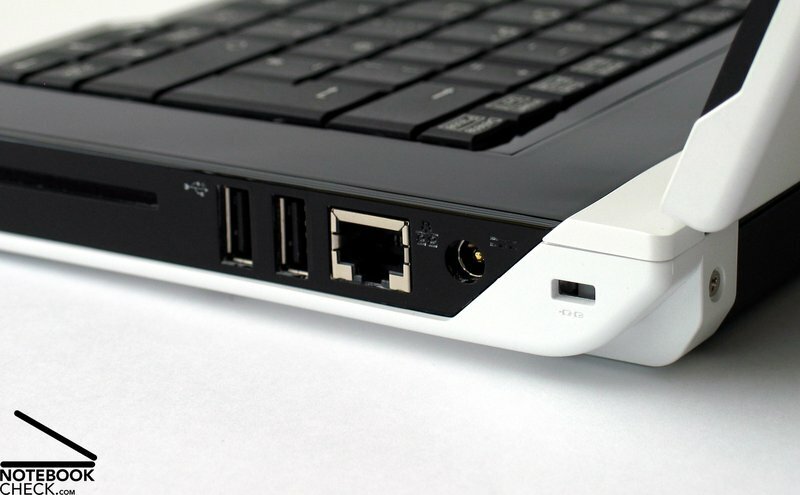 The later is based on the enhanced n-standard and allows data transfer rates of up to 300 Mbps. Therewith it is up to five times faster than the 802.11g standard. Furthermore, it supports the following data encryption algorithms: WEP, WPA, and WPA2. Bluetooth 2.1 is also available. 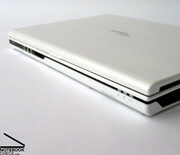 Contrary to today's trend in the consumer notebook market, the Amilo Si3655 is not equipped with a fingerprint reader. At least this is true for the reviewed prototype. The same is true for a TPM chip. But, a 1.3 megapixel web cam is available top of the display. The design of the keyboard harmonizes well with the surrounding case. The linear keys have a size of 17 mm x 17 mm and are arranged in a strictly geometric grid. 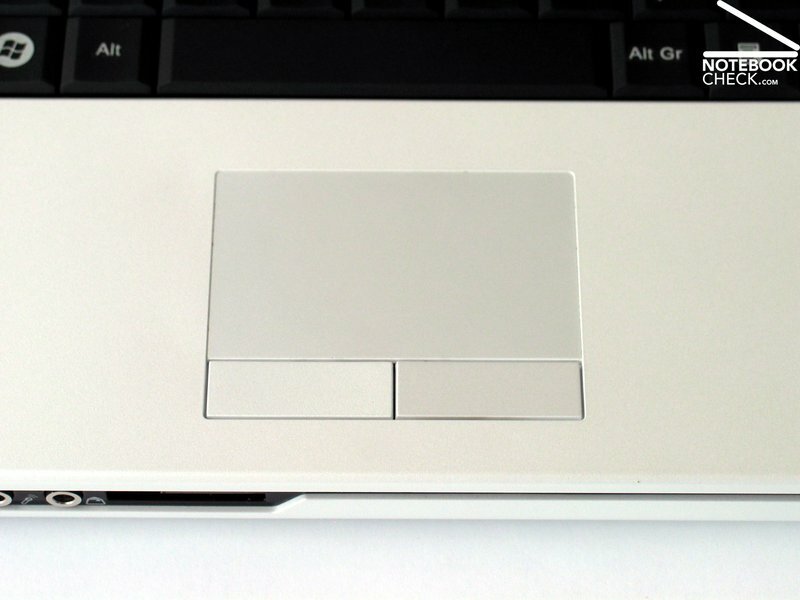 Only the left cursor key is a little bit beveled in order to continue the outline of the case. Except of an English layout instead of a German one, which we are used to, the keyboard layout was standard. The Ctrl key is in the lower left corner, the Del key opposite to the Ctrl key in the right upper corner. Advantages of this keyboard are a double-spaced enter key, and increased shift, tab, and backspace keys. Typing is characterized by a relatively short key travel and a clear, nearly jerky feedback. Furthermore, we have to mention that depending on the position of your wrists the hardly beveled edge of the case sometimes hinders hitting the space bar. But, this might just be a matter of adaption to each new notebook. 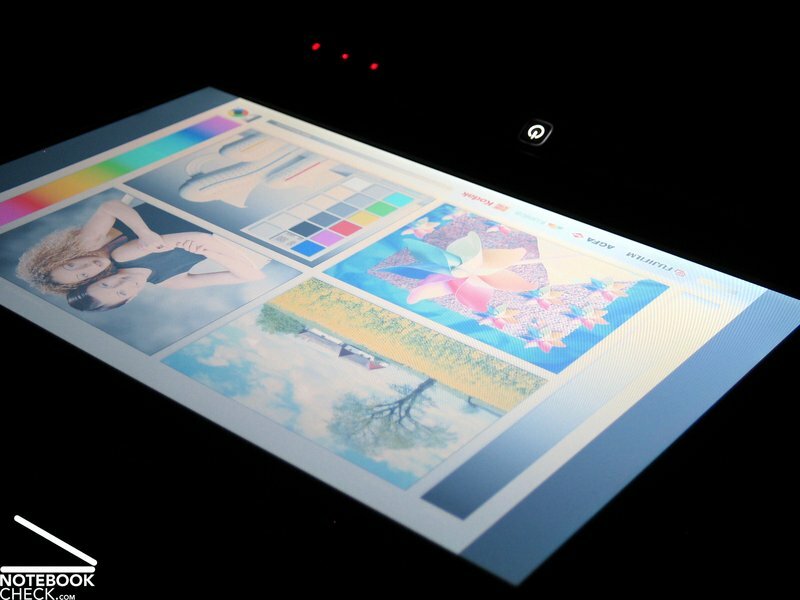 The design of the touch pad is also brilliant. Its colour harmonizes well with the case, it is nearly flush with the surrounding case, and feels nice to the touch. Furthermore, also response and precision of the touch pad are good. A scroll area is neither marked no supported. However, it is to be assumed that the production model will support a scroll area, because it is usual. 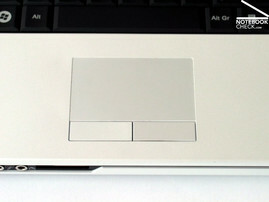 The FSC Amilo Si3655 has three touch sensitive fields right above the keyboard. These react on the slightest touch and are highlighted by red LEDs. They can be used to activate silent mode or eject the slot-in drive. 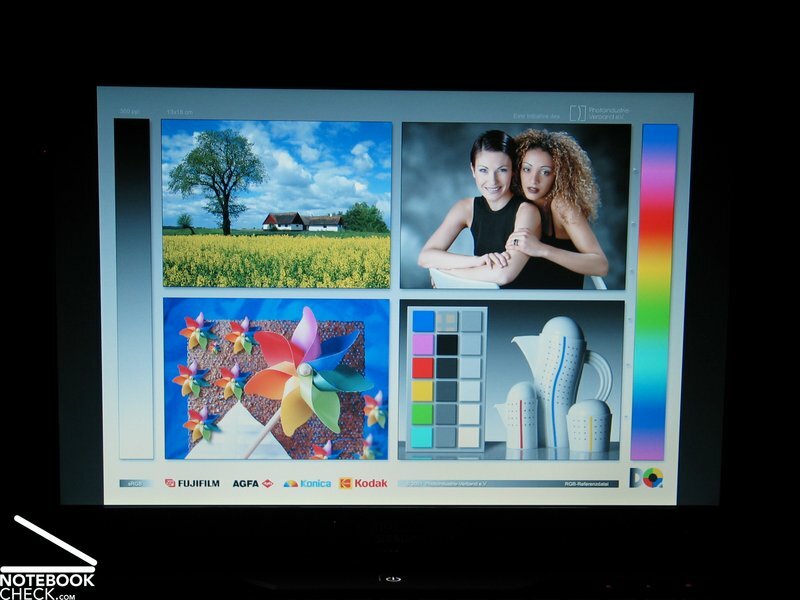 The Amilo Si3655 is equipped with a TFT display with a 13.3 inch (34 cm) in a 16:10 wide-screen aspect ratio. 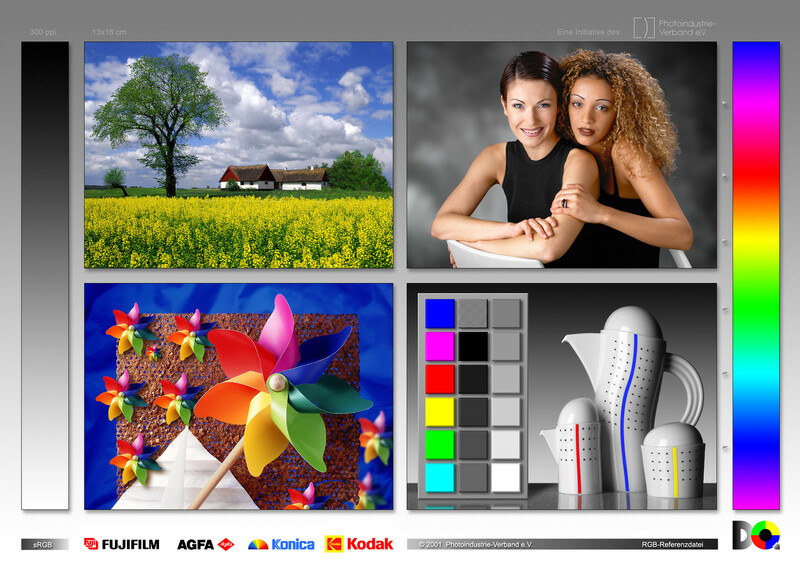 Due to a resolution of 1280x800 pixels fineness and desktop size are sufficient for office and Internet applications. 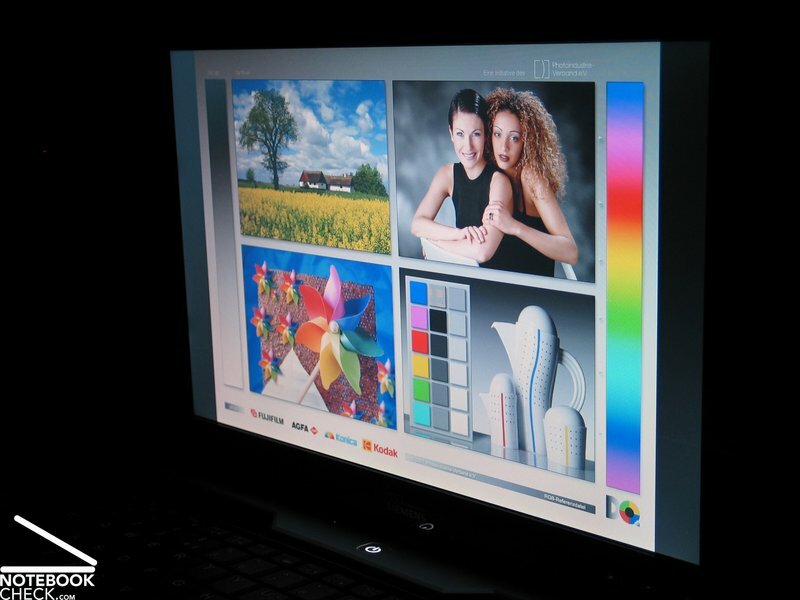 However, the resolution should be higher for professional picture editing or applications with many windows and tool boxes. This WXGA display has a good brightness. In its central area we measured the notable maximum brightness of 247 cd/m². The illumination is only 78.3%, because the brightness fades in the corners down to 193.3 cd/m². However, nearly 200 cd/m² are still very good. And so is the average brightness of 212.1 cd/m² . The maximum contrast ratio is not that good, because the black value of 1.87 cd/m² (minimum representable brightness = black) is rather high. Together with the possible maximum brightness of 247 cd/m² this gives a disappointing contrast ratio of only 132:1. 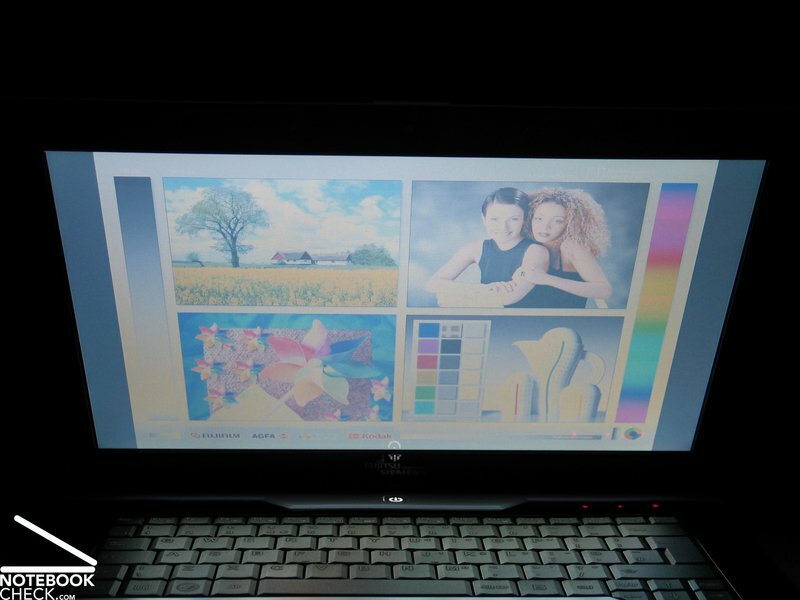 The colours, especially skin tones, appear to be cold on this 13.3 inch display. On the one hand the brightness would be sufficient for outdoor usage. However, the heaviliy reflecting surface is a big disadvantage, all the more, if the environment is very bright, e.g., in the sunshine. So, you should rather use your Amilo indoors. Also the narrow viewing angles can restrict the usability of this notebook. 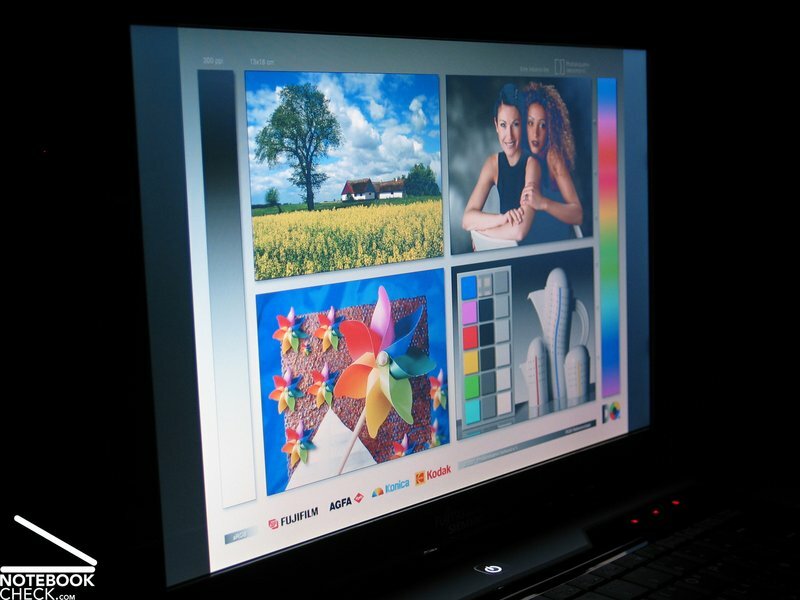 Especially vertically the display darkens or whitens even if the deviation from the ideal viewing angle is small. So, you'll need to frequently adjust the opening angel for an ideal picture while travelling. We were very curious how the Fujitsu-Siemens Amilo Si3655 performs in the performance test, because this is the first notebook with Centrino 2 technology which we reviewed. The Centrino 2 platform, also known under the name Montevina, implicate a number of changes, because of the Intel Express 45 chip-set. 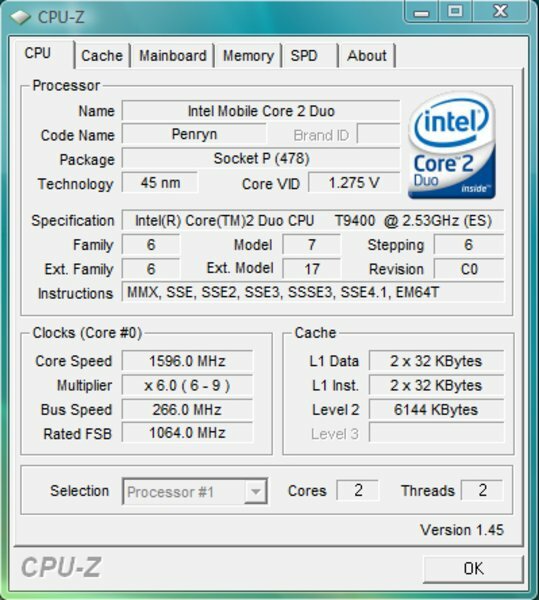 First of all Montevina supports second-generation Intel Core 2 Duo (code-named Penryn) processors. Intel launches a number of new CPUs, which are, alike the Penryn processors of the Santa Rosa update at the beginning of this year, 45nm processors. 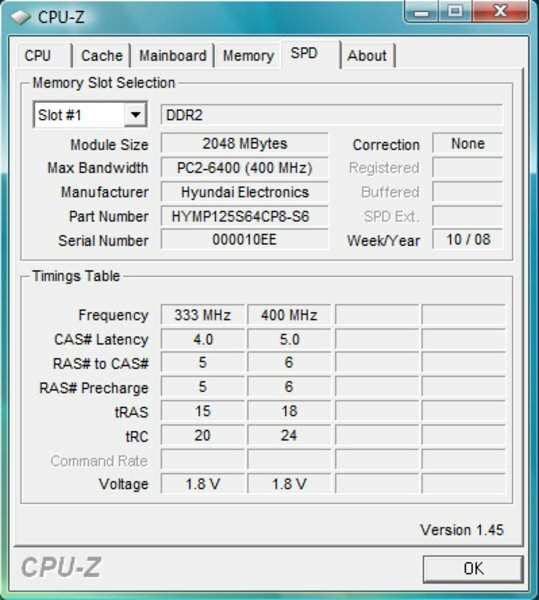 But, these new processors already have a 1066 MHz front side bus (Santa Rosa: 800 MHz). At the beginning the following models will be available: P8400 (2.26 GHz, 3MB L2), P8600 (2.4 GHz, 3MB L2), P9500 (2.53, 6MB L2), T9400 (2.53, 6MB L2), T9600 (2.80, 6MB L2). In general the P9500 and the T9400 have the same specifications, but their TDP (Thermal Design Power) is different. Chips with a TDP of 25W and less have a leading P, chips with a TDP of up to 35W a leading T. In general the P9500 and the T9400 are identical, but, deviations caused by production make the difference. Depending on the quality each chip is categorized into the according class after the production. 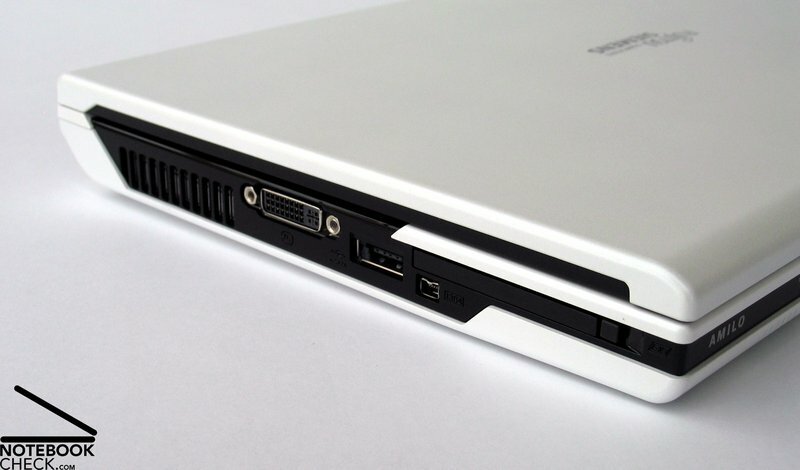 The P9500 can be put into a thinner case, because it demands less maximum power. 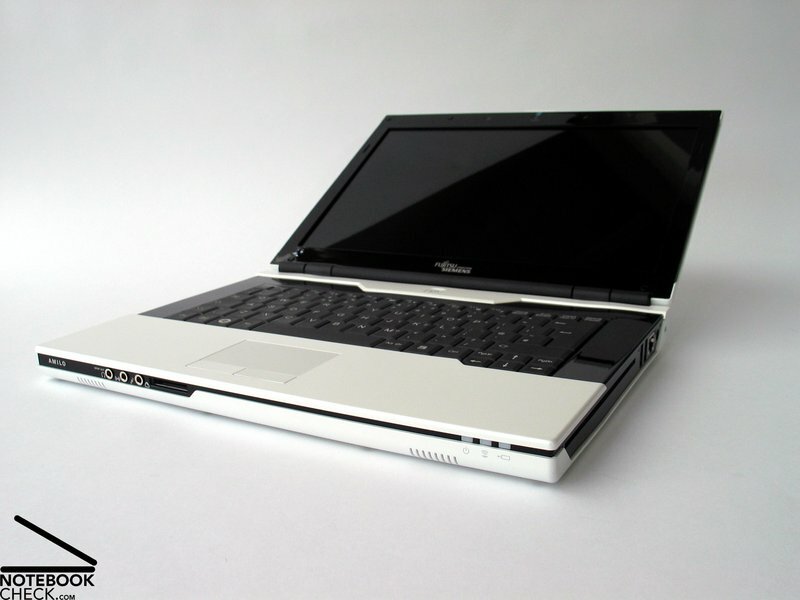 Despite the advantages of the Pxxx series, the FSC Amilo Si3655 prototype was equipped with a T9400 CPU with 2.53 GHz. 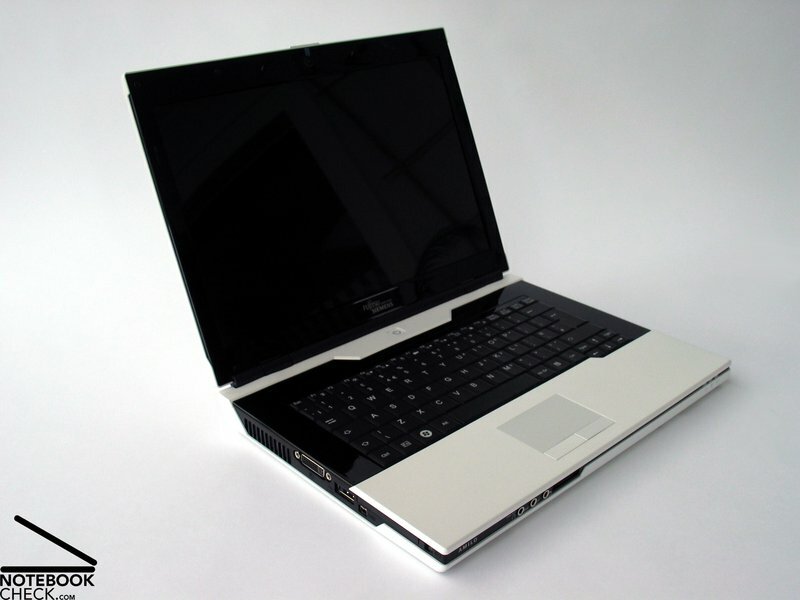 It is planned that the production model will be available with a P8400 or a P8600 CPU. This will slightly improve the emissions and the battery runtime, but at the same time the reserve capacity will slightly drop. Also the video solution has changed. The new platform allows to switch between an integrated video chip (lower energy demand, lower performance) and a dedicated video card (higher energy demand, better performance). 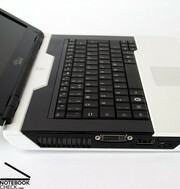 However, also the notebook manufacturer must support this, because it increases the complexity. 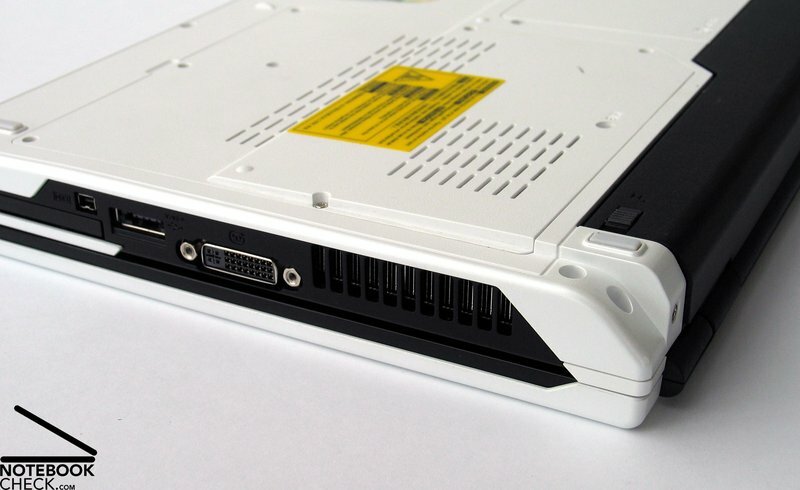 The reviewed FSC Amilo Si3655 was only equipped with a GMA X4500HD, Intel's new integrated video chip. It is the direct successor of the GMA X3100 of the Santa Rosa platform and should feature Blu-ray support, HDMI, and HDCP. Furthermore, the GMXX4500HD should be more powerful than the X3100. Regarding performance increase: The 3DMark 2006 result of this bundle was 905 points, the 3DMark 2005 result 1515 points. Both are very good. This integrated video chip is therewith nearly as good as the former beginner's video card, the Geforce 8400M GS by nVIDIA. Depending on the configuration, it performs about 30% better than the GMA 3100 video chip. However, the new generation 9xxx video cards by nVIDIA again have a better performance than the 8xxx series models, which is demonstrated by the figure (Geforce 9300M G / Geforce 8400M GS). The performance of the FSC Amilo Si3655 in the PCMark 2005 benchmark was excellent. It reaches 5408 points and is therewith top of comparable notebooks, and nearly able to close the gap on powerful workstations, e.g. 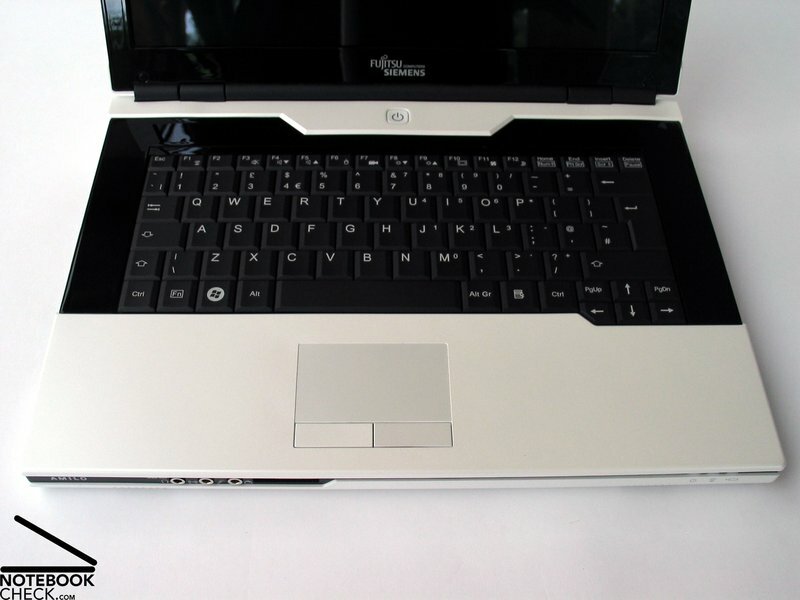 the HP Compaq 8710w. Despite integrated video chip, this demonstrates the power of the new Centrino 2 platform. 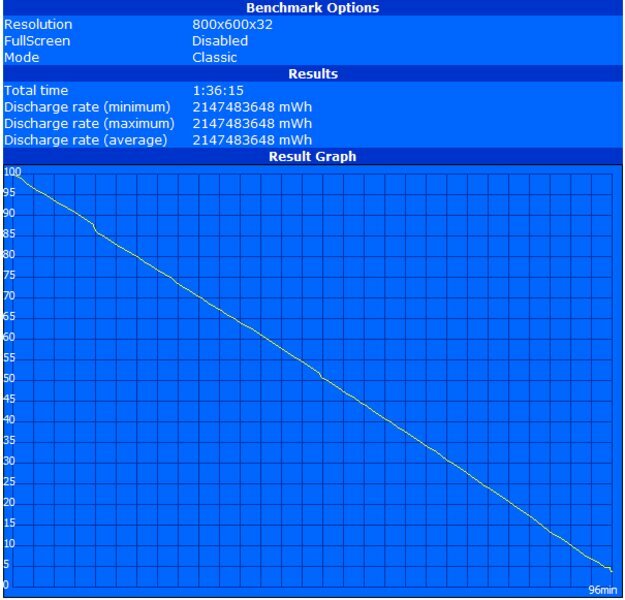 The Cinebench R10 performance test has a similar result. The single and multi CPU rendering result of the Amilo with T9400 CPU is more or less as good as the one of the powerful Dell Precision M6300 workstation with T9300 CPU. After all the result of the shading test (OpenGL) is a little bit above 1000 points. 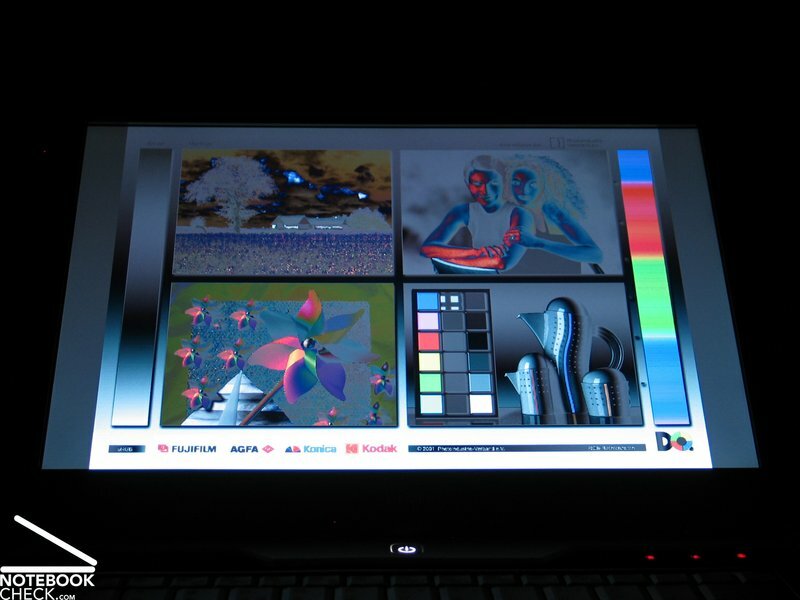 So, this video chip again proves to be able to clearly outperform notebooks with Intel's X3100 video chip. 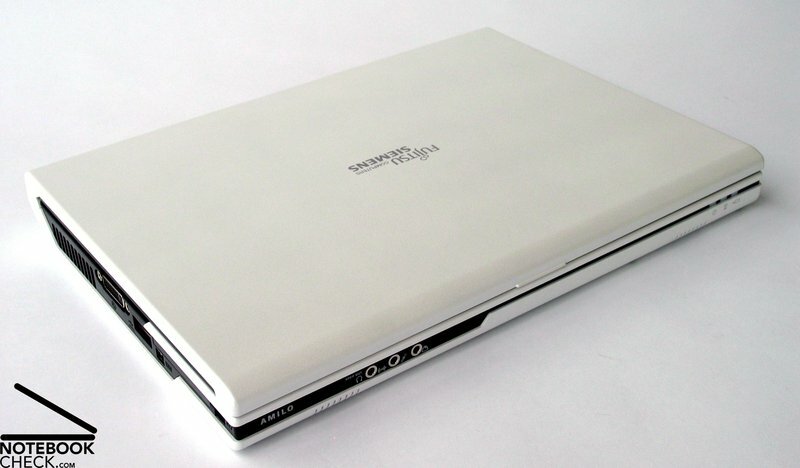 The Fujitsu-Siemens Amilo Si3655 notebook is equipped with fast PC-6400 memory modules, and provides a total RAM capacity of 4096MB by two modules of 2GB. 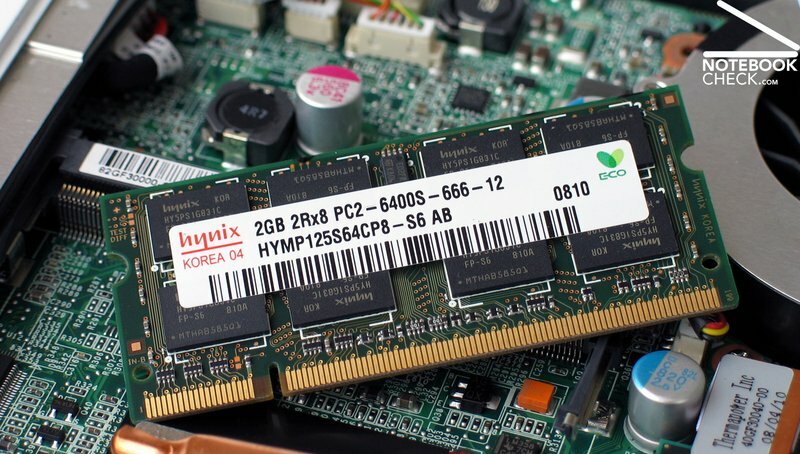 This could be the standard of the future, because 2GB modules are already affordable today. 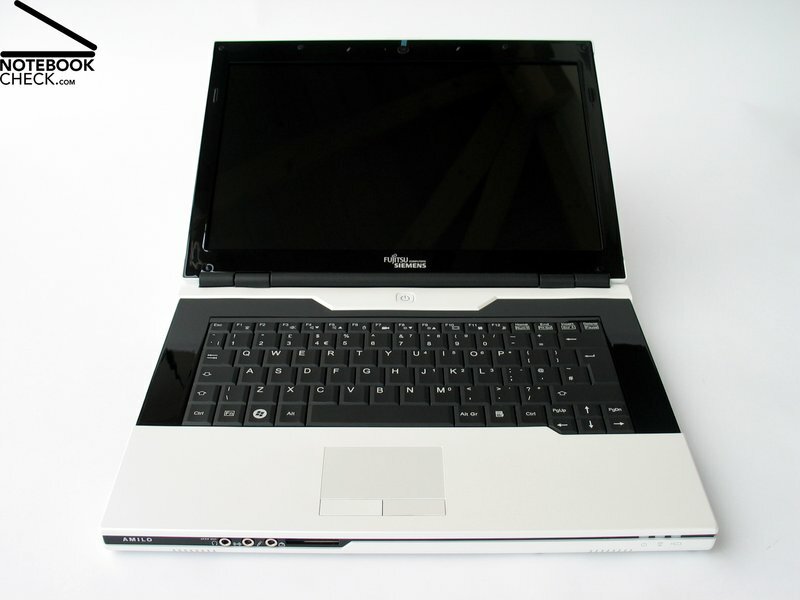 However, the most important aspect is that the Centrino 2 platform supports a total of 8GB RAM. But, the FSC Amilo does not support this yet. 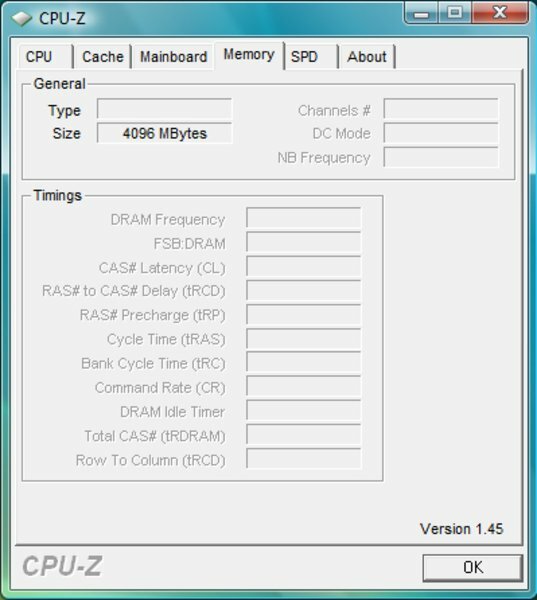 However, the increase of the maximum supported RAM capacity causes two problems. First of all you'll need two 4GB modules, which are still hardly available and hardly affordable these days. Furthermore, you'll need a 64 bit operating system to be able to utilize it. 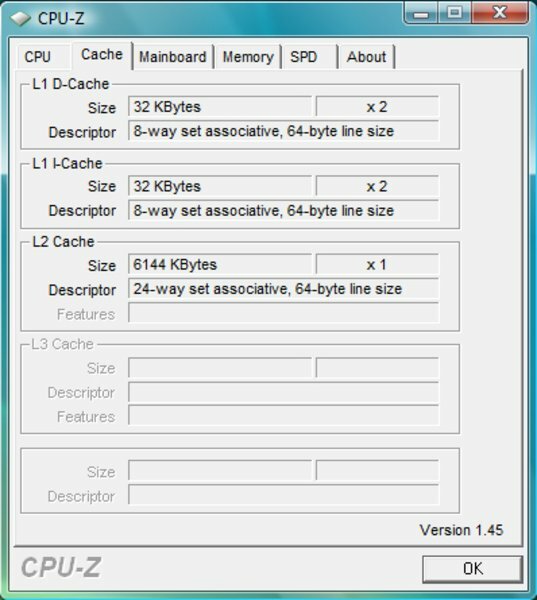 32 bit operating systems, like the pre-installed Microsoft Windows Vista Home Premium, do only support a little more than 3GB RAM. The mass storage device is a Fujitsu-Siemens MHZ2320BH hard disk with a gross capacity of 300 Gigabyte. 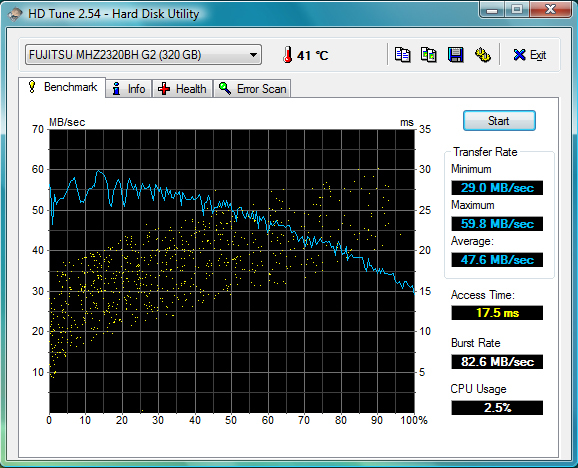 This 2.5 inch 5400 rpm hard disk has very good transfer rates and access times in the HDTune performance test. Furthermore, its capacity should be sufficient. 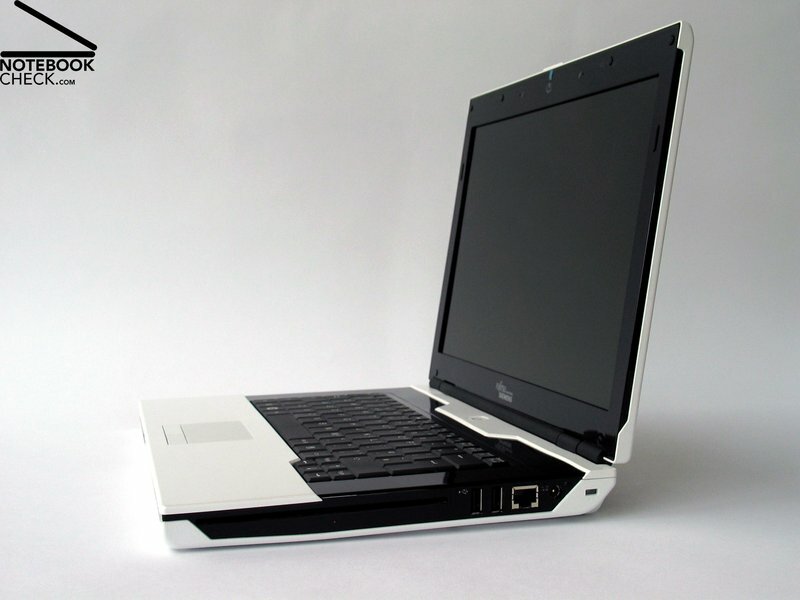 But, this is not all, the Amilo Si3655 also has a eSATA port, which makes it possible to connect an external hard disk, e.g., for data backup, at best possible transfer rates. 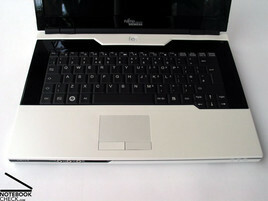 In general the gaming performance of office notebooks with integrated video chip is hardly of interest. But, the Amilo Si3655 is equipped with Intel's new X4500HD video chip, which is clearly more powerful than the X3100 video chip. The first test with the OpenGL ego shooter Doom3 was already disillusioning. The frame rates are in between 13 to 17 fps. So, this game cannot be played. The same is true for F.E.A.R. (DX9). Here the frame rate is 20 fps in average, so also this game cannot be played with medium details. So, trying current games, like Crysis, Unreal Tournament 3, or Call of Duty 4 is a waste of time. Even with minimum detail level and a resolution of 1024x768 pixels you'll never get playable frame rates of above 30fps. Games which allow lower frame rates in order to be playable, e.g., Fifa 08, run rough-and-ready. Also The Settlers - Rise of an Empire has a frame rate of 15-20 fps at a resolution of 1024x768 pixels. So, its performance is at least acceptable. 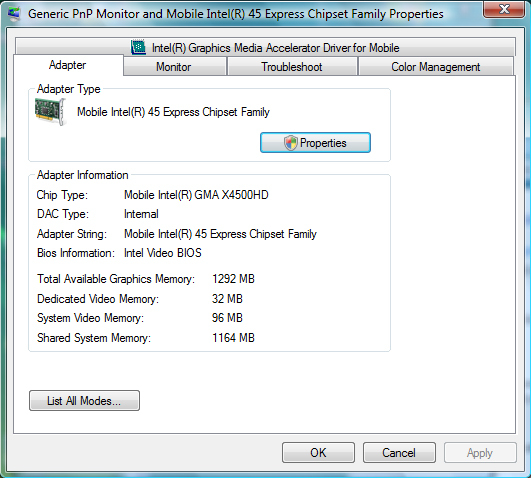 To summarize the new integrated video chip by Intel, the X4500HD is just a base equipment for some applications. If you want to run games or applications which demand a lot of video performance, you still require a reasonable dedicated video solution by ATI or nVIDIA. Regarding noise emissions the Fujitsu-Siemens Amilo Si3655 has a special advantageous feature. You can switch to silent mode by pressing one of the touch-sensitive hot keys. Depending on the operating mode the fan gets absolutely quiet at once. This is made possible by reducing the performance. So, the noise emissions can be as low as 30.8 dB(A), which is hardly audible. Also DVD playback is without recognizable limitations possible in silent mode, whereas to noise is decreased down to 32.7 dB(A) . 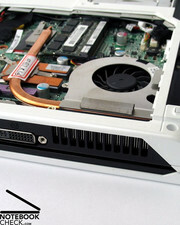 Nevertheless, the fan sometimes starts running and causes a noise level of up to 35.5 dB(A). Under load, if both CPU cores are systematically used to full capacity, we measured a maximum noise level of up to 42.2 dB(A), which is clearly audible. However, this is hardly possible with standard office work. The measured maximum temperatures are absolutely harmless. We measured a maximum of just 35.4°C at the bottom side, and a maximum of 38.6°C at the bottom side. So, you can operate the Amilo on your lap without hesitation. 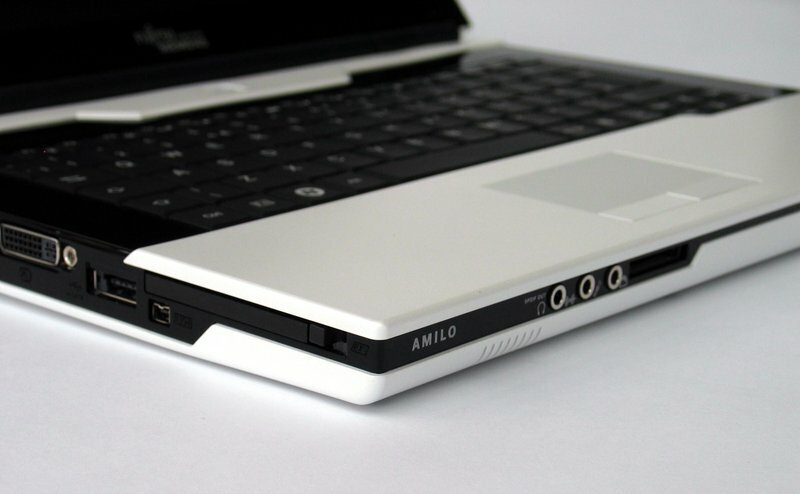 The Amilo Si3655 is equipped with two speakers, which are left and right at the front edge. These emit the sound towards the base. They sound a little bit dull with a small hall effect at audible volume. At moderate volume the quality of the sound is sufficient for listening to music, but the basses are weak. You can use the stereo headphones port as an alternative. This way the sound via Sennheiser PC131 headset was good. Overall the battery runtime of the 53.3 Wh Lithium-Ion battery (11.1V, 4800mAh) is good. The maximum runtime with energy saving mode, WLAN off, minimum display brightness measured with the BatteryEater Reader's test is 265 minutes, these are about 4.5 hours. Under load with maximum performance and maximum display brightness, the runtime was only 96 minutes, measured with the Classic test. When watching DVDs with maximum display brightness and deactivated WLAN, and the energy profile balanced, the runtime was at least 140 minutes. This is sufficient to completely watch a typical Hollywood film. In WLAN mode with reduced display brightness (level 5/7) and Windows energy saving profile, the runtime of the FSC Amilo Si3655 was 185 minutes. So, you can work unplugged at least for a while. Besides the 4800mAh battery there is also a smaller 2400mAh battery available. However, the battery runtime is for the benefit of lower weight also shorter. In many aspects the Amilo Si3655 by Fujitsu-Siemens is a very interesting notebook. The case looks innovative and striking and might attract those who appreciate a good design as well as those who do not consider the look of a notebook important. The strong black and white contrast builds a bridge between ageless elegance and up-to-date high-tech design. Although the case appears to be generally compact and robust, there are some flaws, e.g., at the slot-in drive and the lid. Also the closing mechanism should be definitely improved before the final launch, because the closing pressure of the prototype is clearly too low. 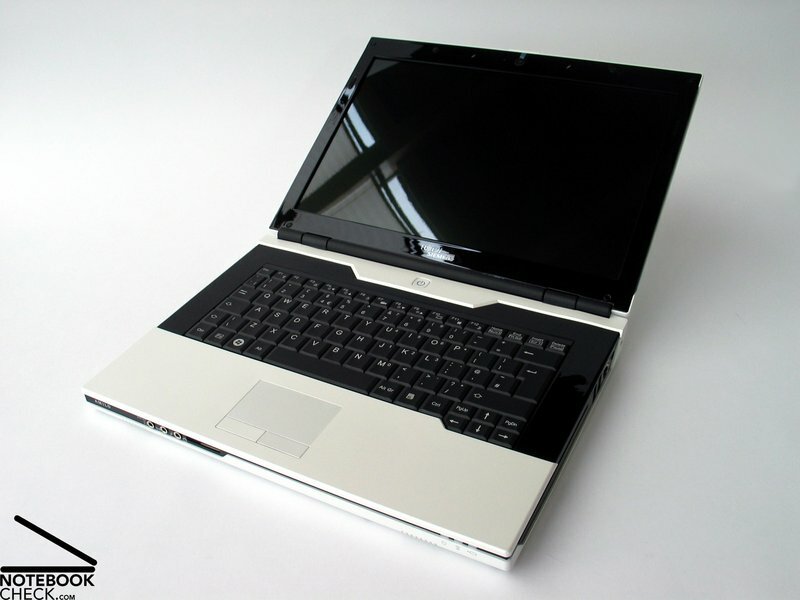 Considering the Fujitsu-Siemens Amilo Si3655 is a compact 13.3 inch notebook the interface equipment is reasonable. 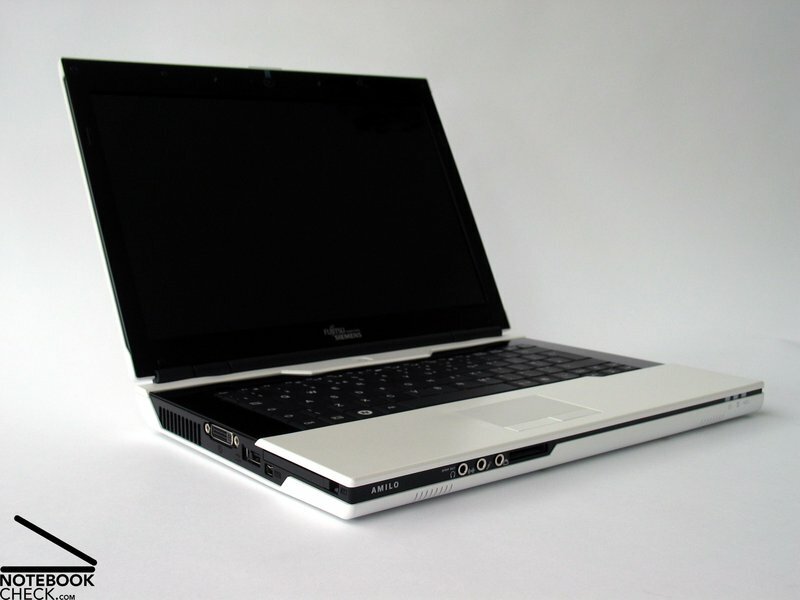 It includes a DVI-I interface and an eSATA port for connection of an external hard disk. Also the order of the interfaces is very user-friendly. Generally, we liked the keyboard, although we are not used to the American keyboard layout. Also typing is user-friendly. 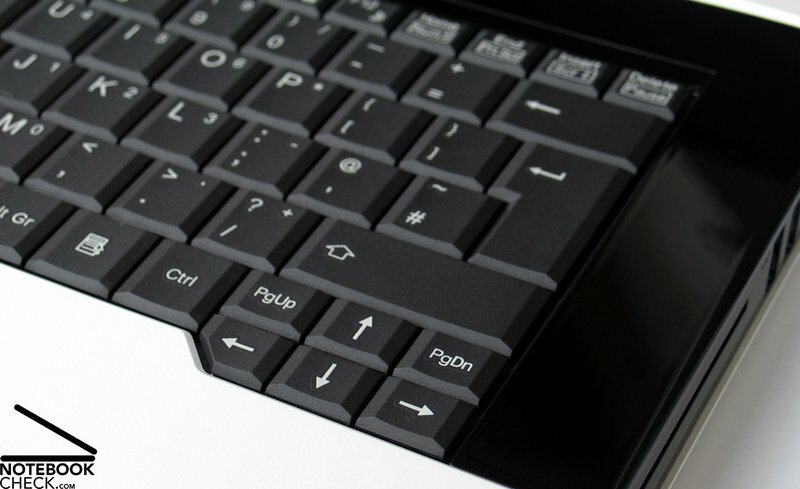 The touch sensitive hot keys are more and more used instead of keys with mechanical parts and they harmonize well with the simple straight-forward design. 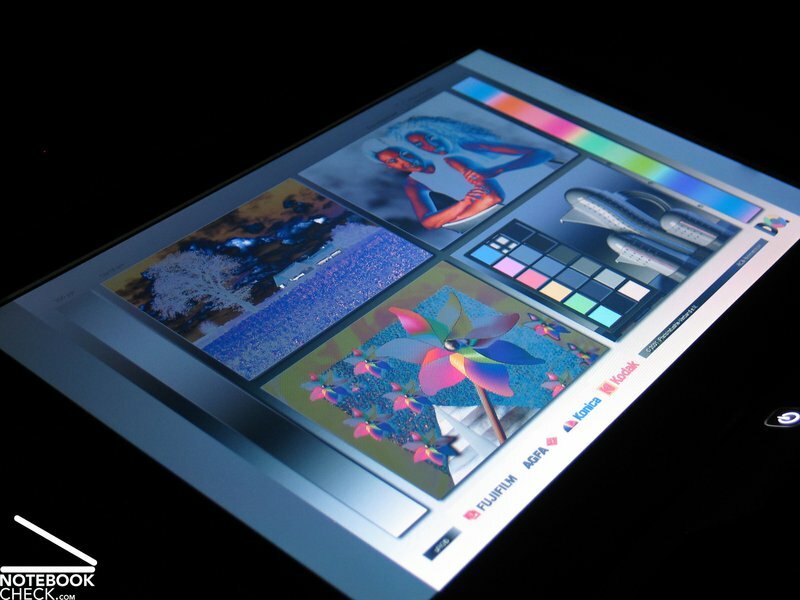 The display with a resolution of 1280x800 pixels is very bright, but unevenly illuminated. 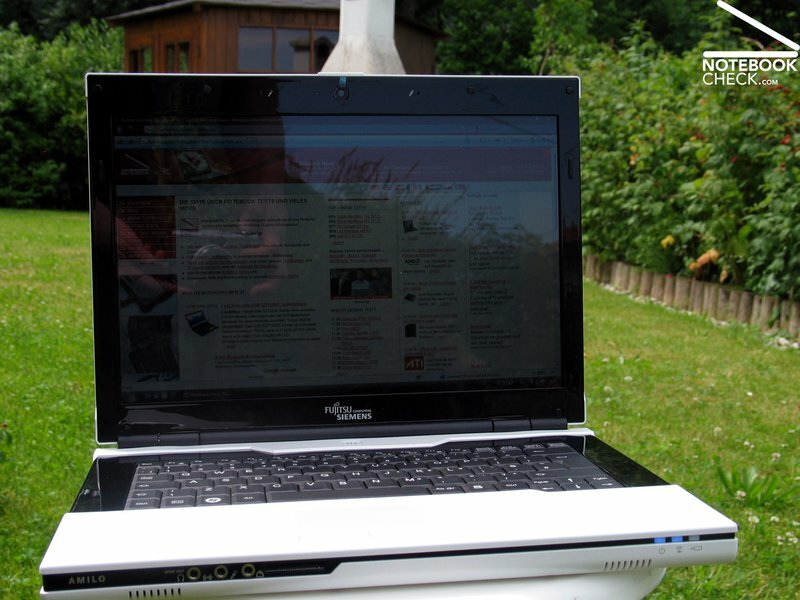 The main disadvantage of this panel are its reflecting surface, which makes it hardly possible to use this notebook outdoors, and the relatively narrow viewing angles. Due to the new Centrino 2 platform by Intel, a new T9400 Core2 Duo CPU, and a GMA X4500HD video card, the application performance is very good and the video performance passable and clearly better than the performance of predecessor video chips. However, the video performance is not sufficient for professional 3D applications and games. Another advantage of the Amilo Si3655 are its low emissions. The silent mode makes a nearly completely quiet operation possible. Also the surface temperatures are always all right. 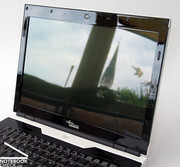 The production models should even be better in this aspect, because they will be equipped with P8400 or P8600 processors. The battery runtime range from a minimum of about 1.5 hours to about 4.5 hours with maximum energy saving options. A runtime of above 2 hours during DVD playback and of above 3 hours in WLAN mode makes this notebook fit for the practice. Even at the first glance the Fujitsu Siemens Amilo Si3655 looks innovative. ...but, it has a reflecting surface and narrow viewing angles. The Amilo Si3655 attracts attention, because of the brand new Centrino 2 technology. It is equipped with an Intel T9400 CPU with 2.53 GHz and 6MB L2 Cache/1066 MHz FSB and a GMA X4500M HD, an integrated video chip by Intel. 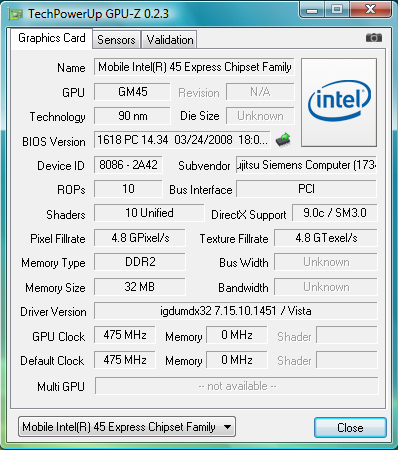 The new Express 45GM chip set supports up to 8GB RAM, and the wireless LAN enhanced n-standard. 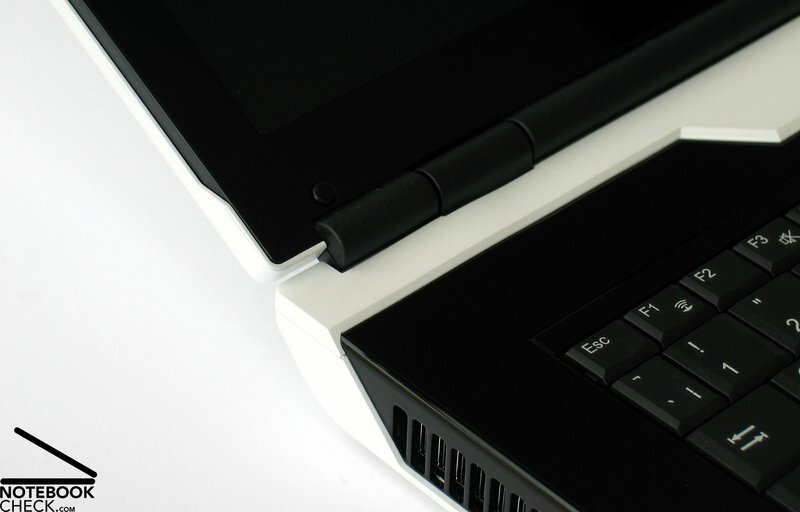 Silent mode makes it possible that the notebook operates nearly absolutely quiet. The surface temperatures stay always all right. The two speakers at the front side have a moderate sound, which is sufficient for daily use. The battery runtime of the 4800 mAh battery is up to four hours. 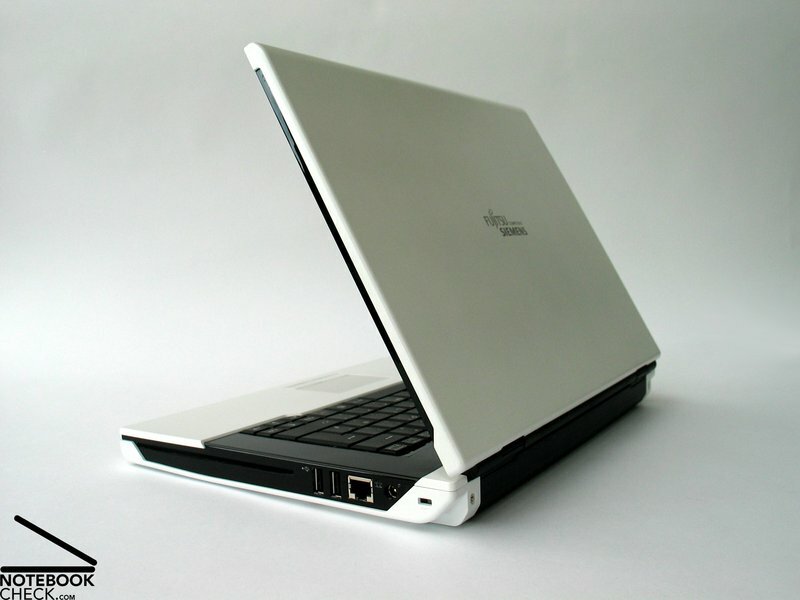 The same is true for the touch pad, which is flush with the case and has a good response and precision. Ideo, a design consultancy, designed this consumer notebook series on behalf of FSC. The result is notable. It is a really individual and recognizable design. ...the shapes and lines attract attention. ...make the look of the Amilo Si3655 futuristic. But, the case is also very stable. Weak parts are at the slot-in drive and the lid. Also the closing pressure of the hinges has to be improved before the final launch. ...a DVI-I port, an eSATA port, and a S/PDIF out, and leave nothing to be desired. 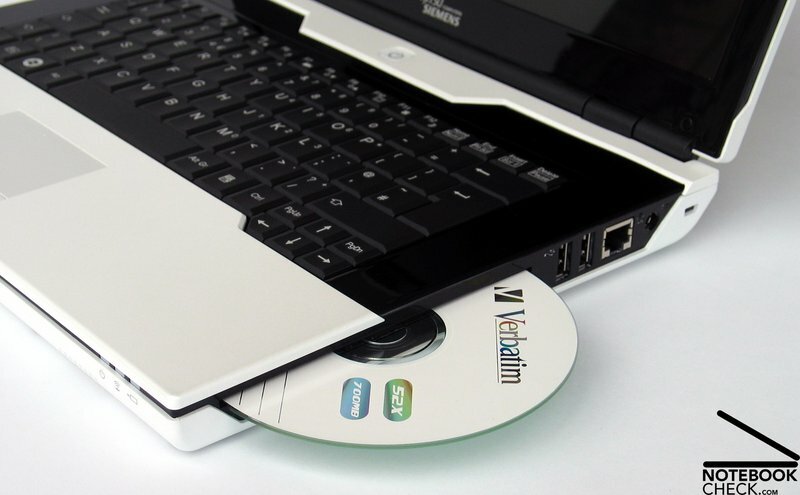 The integrated DVD drive is a slot-in drive. The Si3655 is also equipped with a 1.3 mega pixel web cam.